Even though the idea of blogging started off as simply having a place from which to share your ideas with the world, it quickly blossomed into a pastime that can be turned into a profitable career. If you want to pursue a career as a professional blogger, you will quickly find out that your best bet for making money is renting out advertising space on your blog. Some of the more exclusive and most popular blogs can get away with charging people for their content, and there are some that sell their services through their blogs – which you’ll see on some of the best tutorial-based blogs for example – but generally speaking, if you are going to make money from your blog, you need some advertising. If you believe that you have reached a point in the life of your blog at which you are ready to make some money from it, here are some tips to consider in your quest to become a profitable professional blogger through advertising. No matter how great your design is and how nice your blog looks, if no one is reading it, then it is useless to advertisers. In order to build a steady readership and a significant amount of traffic, you need quality content and you need to have new content coming in regularly. It is a very simple concept – the more people visit your blog and the longer they stay, the better your chances are of finding advertisers who want to promote themselves on your blog. In order to get these visitors to come to your site, you need to promote it. Promote your blog through your social networking profiles, send it to family and friends, and contact other bloggers you may know who might be willing to help you get your blog off the ground. Another good way to get some traffic coming in to your blog is by submitting guest posts to other, more popular blogs, which will provide clicks and visits to your blog if people enjoy reading what you have written for others. Putting up some money yourself to advertise on other, more popular blogs that are similar to yours is an excellent way to increase traffic as well – if you have the money to spend on that. If you are going to pitch your blog to advertisers successfully, you need to know what you are going to tell them. You need to start monitoring your traffic professionally and begin creating sales reports of the progress your blog is making. Once you hit a plateau of about 100,000 visits to your site each day, you will have a leg to stand on when you are pitching your blog to companies that might want to advertise with you. For a professional report, you need to let them know what your blog is about, what the content focuses on, and how that relates to their products or services. You also need to let them know the statistics related to your traffic. You can use Google Analytics to help you present a lot of this information related to traffic, which is a free service that offers detailed analysis of your site’s traffic. If your traffic is not really where it needs to be in order to pitch your blog to potential advertisers, then you might want to consider offering some free advertising for the time being. It might seem counterproductive at first glance, but it is actually a very common an effective strategy. If you do not have impressive traffic stats, offer some free ad space to an advertiser that you would like to have advertising on your blog. You can give them a free trial period – three months of free advertising, and if they are satisfied with the number of clicks and visits they are getting by way of your site, a fee can be negotiated. Remember, no one but you and your few, chosen free advertisers will know that the service is free – which can give off the appearance to other potential advertisers that this could be a good place for them to advertise as well. Creating the illusion of a bustling advertising business can only get more potential advertisers intrigued by your site and spark some real advertising offers to come in eventually. Affiliate advertising through Google Adsense tends to be where the money is at for a lot of smaller bloggers. With Adsense, you are essentially creating an account with Google and allowing Google to place ads in certain places on your blog. Whenever a visitor clicks on one of the ads, you make some money. This can be a great source of money if you have a decent amount of traffic, but not enough to get serious advertisers interested yet. However, you need to really try to use these ads sparingly and place them in areas of your blog that will not ruin the reading experience for your visitors. Going overboard with Adsense ads and cluttering your blog with them usually does more harm than good. Take a look at blogs that are more successful and more popular than yours, but deal with similar subjects. 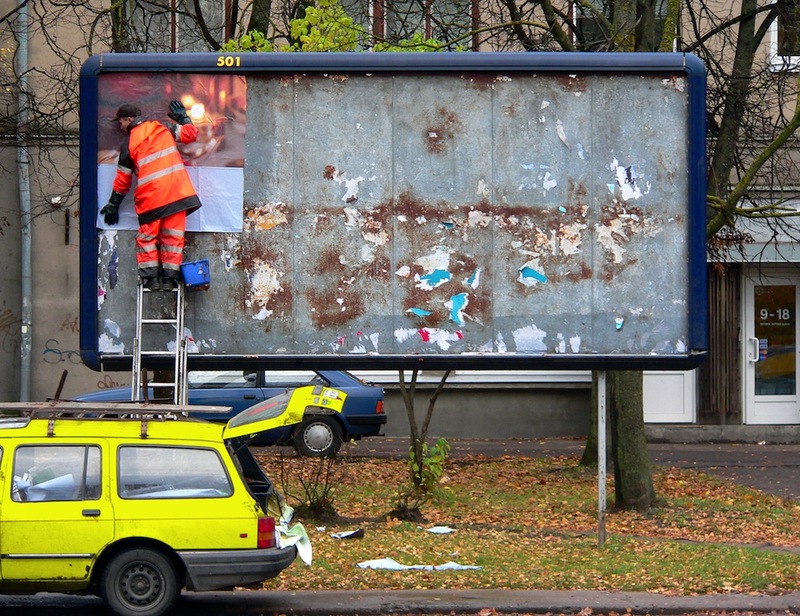 Find who is advertising on these blogs and put these advertisers on the top of your list. When you draft a pitch for your blog, these will be the first advertisers that you will contact, because you are already certain that they like to promote themselves on blogs that are similar to yours. Your pitch should be comprised of everything you have gained from the first four steps of this blog post. Be sure to present your blog and its content in the best possible light and make it clear to everyone what your blog is about. Present the statistics related to the progress that you have made in attracting traffic since your blog’s inception, and even put together some educated predictions of what heights you expect your blog’s traffic to reach within the next year or so. Put together a list of all of the companies that have already advertised on your blog, but of course do not mention that they advertised for free if that was the case. Do not talk about money or prices in this pitch, because the only thing you can do is undervalue your blog. Web advertising is not an exact science, so you never know how valuable your blog looks to a potential advertiser and how much they would be willing to pay in order to get some ad space on it. Remember that when you are looking for advertisers, you are actually advertising yourself, so be sure to never undersell your blog because its value and worth as an advertising spot can vary drastically depending on the eye of the beholder. Guest article written by: David Lazar is a blogger at >CometDocs.com. With a background in journalism, he enjoys writing about and following a variety of topics, including careers, technology and new media. how great your design is and how nice your blog looks, if no one is reading it, then it is useless to advertisers. In order to build a steady readership and a significant amount of traffic, you need quality content and you need to have new content coming in regularly. Nice points, If you really want to attract advertisers on your blog then you should first focus on traffic generation. Once you start getting good amount of traffic then advertisers would love to advertise on your blog, plus you can focus on affiliate marketing related to your niche as well. Traffic is the king in internet marketing if you want to make money online . And except this all your mentioned points will certainly work for attracting advertiser on blog. Having a good PR blog means you have work hard to put your best and effort to be on top. Advertisers are additional points for your blog to drive traffic. what matters most is put an useful, attractive ideas of post to ensure traffic. Thanks for those tips. I thought that I was the only blogger that have a high priority in checking the indexing rates. Almost all of my blogs and sites has an index rate of 90% on average. In the end it’s all about traffic! Bloggers should concentrate on the foundation of writing more fresh and quality content for their blogs and traffic will soon come. When there’s traffic, there will be advertisers. Good points David. It all takes time and effort, and effort put in the right direction will definitely yield results. I also feel that having a website related to a popular niche tends to attract more advertisers than other sites. The only way to make money through blogging is to have huge traffic. Hey, it’s really a good idea to increase advertising in blog, I think free advertising is the more suitable. Thanks for sharing this. Bottom line is -> no traffic = no revenue! You mentioned an excellent method of getting good traffic, guest blogging. I have only just recently gotten into this and it a very good technique of getting good traffic so definitely recommended! I wish there was a way to sell without massive traffic, but you’re right, it’s really important to get to a good level of traffic before speaking to advertisers. I agree with you Ben that the advertisers will only be interested if you would have a good traffic. Traffic is of course the number one when it comes to making money. But don’t forget the type of traffic. When you have a blog with always the same people visiting, they become ‘banner blind’ in other words they won’t notice your advertisment when it looks the same all the time. So when you have regular visitors, make sure the advertising is prominent! my poor blog is searching for india based advertisers. “It is everything about traffic” = The absolute truth. Another good tip would be giving affordable way to advertise such as PPC and CPM payments. In this way the advertiser may be able to test how your blog performs. For example, I tried to advertise a product into v7n forum and they wanted to charge me 2000 per month. How in the world some one would pay that much without knowing how the ad would perform? Daniel recently posted… What is market segmentation? Thanks! I really want to get advertisers on my blog for me to earn money and this article will surely be a great help for me. Hey could you please tell me that what are some well known companies to which i can offer free advertising. Lovely blog. In this post you cover almost all the aspects of how to attract advertiser These are some elements which are helpful to get traffic to your blog, but according to my way of thinking Content is King and you are pretty much focused on quality content. Next post: Magento as an e-commerce solution?